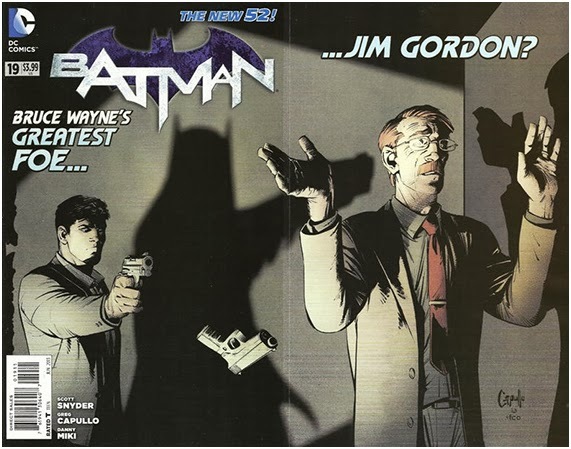 • PLOT SUMMARY: Nowhere Man: Part 1 of 2 - Who would cause Bruce Wayne to use a gun? (W) Scott Snyder, James Tynion IV. (A) Greg Capullo, Alex Maleev, Danny Miki. Cover by Greg Capullo.